Decades of combined experience and industry passion are the heart of the Audio/Video professionals at FireFold AV. Located just outside Concord Mills Mall, we proudly serve the greater Charlotte area. 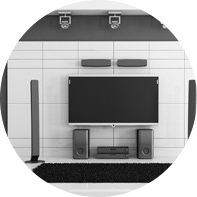 From design to installation, the technicians at FireFold AV can make your home theater dream into a reality. Take advantage of our free on-site estimate to get an idea of available options. From simple TV hangs to a more elaborate cinematic experience, we can help increase your home’s value and your personal enjoyment while keeping within your desired budget. 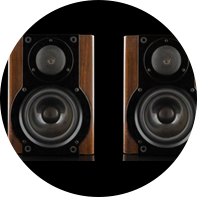 Experience sound in every room in your home with elegantly displayed or concealed speakers and audio equipment. With the touch of a remote or expertly installed control panel, you can enjoy your favorite music anywhere in your home or never miss a play when the game is on. Whole house audio is fast becoming a staple of modern construction. Control your heating and air, lighting, sound and more with today’s advanced technology. Home automation gives you the ability to control your home’s most valuable resources from one central location or remotely using a smartphone or tablet. 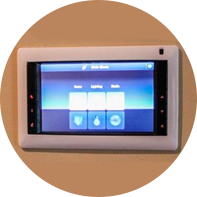 Our experienced technicians can fully automate your home for ultimate control and convenience. Feel free to give us a call or use the form below. We’ll be in touch ASAP!